Amsterdam is a beautiful city and a great travel destination for a fun and relaxing trip. I went to Amsterdam with my friends to visit one of the world's biggest dance event called Sensation Black. The Sensation Black dance event was held in the Ajax stadium and attracted more than 30.000 people who all danced to the different music styles. Pictures of our trip to.. The choreography and the special efffects during the show were spectacular and we had an amazing time! Amsterdam itself is pretty laid back and a nice city to visit. It's also pretty easy to get from one place to another because of the great public transportation system. 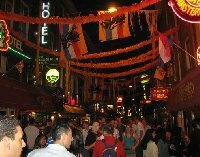 In the centre of Amsterdam you will find a lot of shops and places to meet new people. Did you enjoy Sensation Black Dance Festival in Amsterdam and have you been on a holiday in Amsterdam, Netherlands? 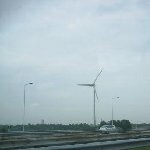 Pictures of our trip to Amsterdam. Walking through Damstraat in Amsterdam. Photos at the Ajax stadium for Sensation Black, Amsterdam. The Dutch house boats in Amsterdam. Pictures of Amsterdam, Dam Square by night. De Cost Gaet Voor De Baet Uyt, Amsterdam. The canals of Amsterdam, Netherlands. Inside a real life Dutch wooden shoe! Photos of Sensation Black in Amsterdam. Liked: Easygoing and well connected. Disliked: Be aware of how much the tram tickets cost, they make you spend a fortune!